So I am kicking off the Reel Time blog tour today. Reel Time is the new line from Brigitte Heiland of Zen Chic for Moda. I was lucky enough to get my hands on some earlier this year which was sent out post haste to a wonderful group of eight contributors to Fat Quarterly and their projects will appear in the next issue, coming out early next month. Reel Time is due into stores, including Fat Quarter Shop, at the end of this month. 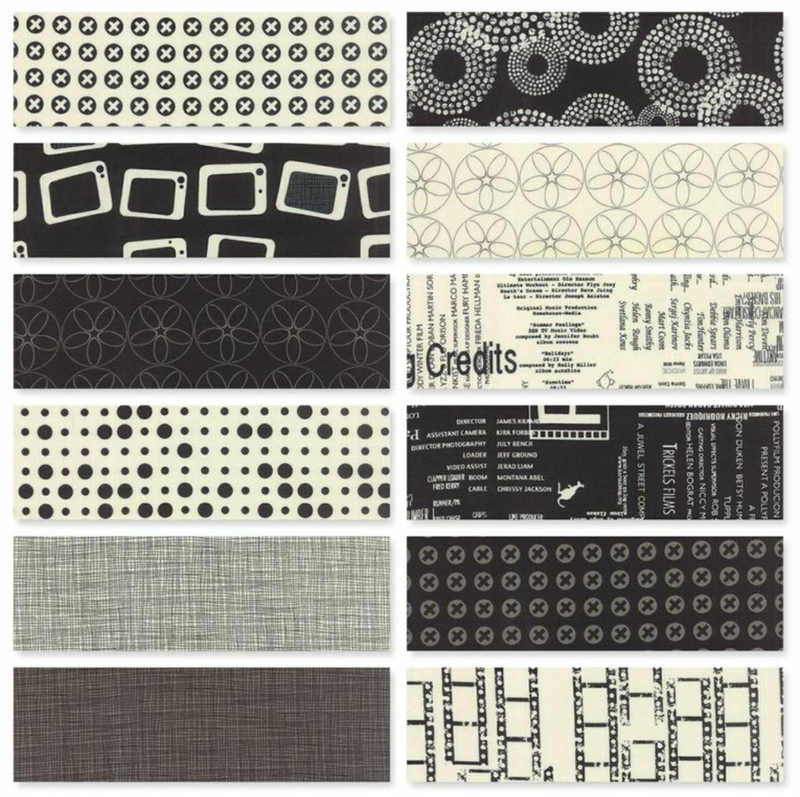 Inspired by cinema reels, this line has both a fantastic fresh modern palette as well as some great blenders, text prints and feature prints. I love all the prints in this line but the black and whites are really something special. For the rest of the blog tour and to see some wonderful projects made from this line, you can hop from blog to blog on the dates shown below! Great fabric design. the neutrals have a calming feel. Looking forward to seeing the projects on the hop. This fabric collection is fabulous... Love the colours!! I really like your star and the miniature. I would prefer the miniature in all solids. You have a lucky accountant. Love both of these quilts, especially the mini! Would love to check out the book. Looking forward to seeing this collection at my local quilt shop. This collection has great color combinations. That looks like a gorgeous collection of fabric! Another very cool Zen Chic range that I can't wait to get my hands on!! I loved Comma and made many things wi it last year. This looks like a goodie too!